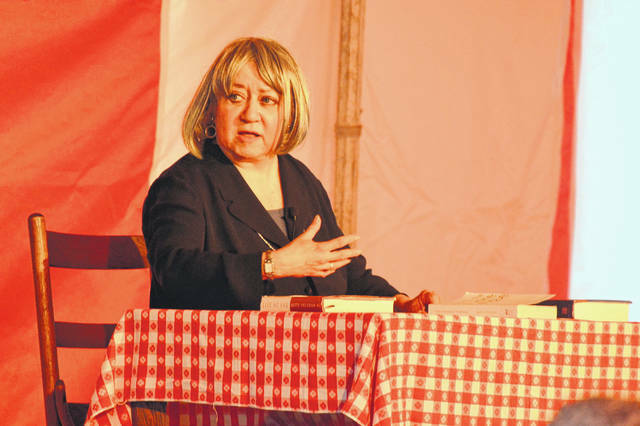 Sally Ann Drucker presents her performance as Betty Friedan, women’s activist and writer, during Thursday’s Chautauqua events. GALLIPOLIS — With Chautauqua winding down for another year, Dr. J. Holmes Armstead will portray general and commander of the Tuskegee Airmen, Benjamin Davis, Jr., on Friday and Jeremy Meier will portray the late U.S. Senator Bobby Kennedy, Saturday. Both performances will begin on their respective days at 7:30 p.m. with local music beginning at 6:30 p.m. in the red tent in City Park.